Join Madhu & Alex for an interactive Peruvian Despacho ceremony – an offering ritual to the natural world. Join Madhu & Alex for a community ritual from the high Andean traditions of the Paqokuna people. 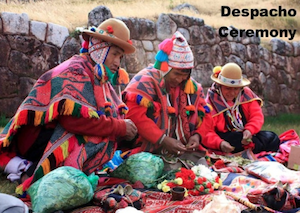 Together we will create a Despacho offering, a ritual feeding for the unseen beings who support the fulfillment of our personal and community lives. This experiential and prayerful workshop will allow participants an opportunity to give thanks by creating a community mandala with natural ingredients to feed the forces who feed us. 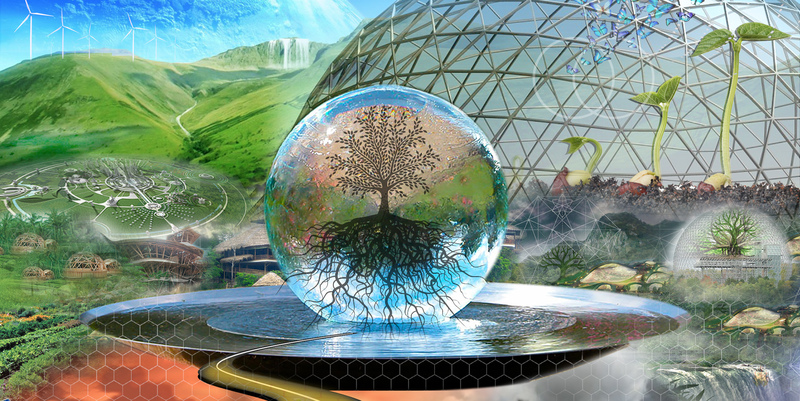 We are now more than ever realizing the necessity to give back to Pachamama for all that she gives us. The Andean culture teaches us the importance of AYNI, sacred reciprocity. The seen and unseen forces of nature can be fed through beautiful community rituals which then give back and feed our lives. We will lead this ceremony through music, short teachings, and spaciousness for participants to share gratitudes and co-create the mandala offering.